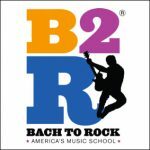 Bach to Rock (B2R), America’s music school for students of all ages, announced today the signing of franchise development agreements to launch six new schools in the states of Florida, Georgia, New Jersey, North Carolina, Oregon and South Carolina in the third quarter of 2017. The innovative music school brand is growing at a brisk pace, having opened nine new schools in 2016 with an additional 19 schools slated to break ground later this year and into 2018. Orlando, Florida: Husband and wife team, Jeff and Jessi Marin, are opening the school in their hometown of Orlando in the suburb of Lake Mary, Florida. Atlanta, Georgia: Husband and wife team, Mark and Jennifer Reiser, are opening their school in the suburb of Johns Creek, Georgia. Morristown, New Jersey: Husband and wife team, Marc and Lisa Saltzman, are heading up this school in their hometown of Morristown, New Jersey. Charlotte, North Carolina: Retired business executive Polly Stephenson is starting this new school in the growing city of Charlotte in the suburb of Henderson, North Carolina. Portland, Oregon: Husband and wife team, Matt and Nikki Duffner, are launching the school in their hometown of Portland in the suburb of Camas, Washington. Charleston, South Carolina: Husband and wife team, Brad and Cindy Dunnells, are opening this new location in their new hometown of Charleston in the suburb of Mount Pleasant, South Carolina. “Bach to Rock is flourishing. We experienced one of our most positive years in 2016 and the trend continues into 2017,” said President of Bach to Rock, Brian Gross. “We have an excellent group of new franchisees coming on board. They all share an entrepreneurial spirit, a passion for music education and a desire to become part of the exciting growth our brand represents,” continued Gross. programs, a DJ school, state-of-the-art recording studios, summer and winter camps, birthday parties and more. Bach to Rock is expanding at a robust pace. The franchise has repeatedly been named to Entrepreneur’s Franchise 500 and was listed in the Top Ten Trending Categories for 2016. Franchise Times has ranked it as one of the 500 Powerhouse Brands and on its Next 300 Franchise System list. To learn more about music school franchise ownership opportunities with Bach to Rock, as well as its veteran and franchise referral programs, contact Ralph Rillon, vice president of franchise development, at 1-855-227-7570 or franchise@bachtorock.com, or visit https://www.bachtorockfranchise.com. Bach to Rock (B2R) is a music education school for students of all ages from early childhood through high school and beyond. B2R knows learning music should be fun and students learn best when they play music they enjoy. Weekly ensemble instruction and band formations lead to public concerts, Battle of the Bands and recording sessions in B2R’s professional recording studios. B2R builds technique, fosters teamwork and enhances self-esteem through private lessons, band instruction, and public performances. Bach to Rock opened its first corporate-owned location in 2007 in Bethesda, Maryland. With its latest opening in Flower Mound, Texas, there are 21 schools located in the states of Arizona, California, Connecticut, Florida, Georgia, Maryland, Massachusetts, New York, North Carolina, Pennsylvania, Virginia and Texas. Nineteen additional schools are scheduled to open in Arizona, California, Connecticut, Florida, Illinois, Maryland, New Jersey, New York, North Carolina, Oregon, South Carolina, Texas and Virginia. 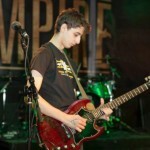 Follow B2R on Facebook at http://www.facebook.com/BachtoRock and on Twitter at http://www.twitter.com/BachtoRock. For more information, visit http://www.bachtorock.com or call 1-877-227-8558.